One of the most long-overdue trends in PC is the rise of high-pixel-density displays. For ages, computer monitors have gotten bigger and bigger, with only a minor increase in resolution to go along with it, meaning that we’ve been paying more to see a blurrier, more pixelated desktop. Finally some laptop manufacturers are getting with the program. Apple’s Retina Display MacBooks, Toshiba's Kirabooks, and Lenovo's IdeaPad Yoga line—just to name a few—are all offering laptops with crisp, pixel-packed displays, and it’s clear that it won’t be long before all high-end laptops include high-DPI screens. Unfortunately, Windows isn’t totally equipped to deal with high-density displays out of the box. If you’re new laptop isn’t as crisp as you expected, or it’s difficult to work with the user interface, it might be your operating system that’s at fault. 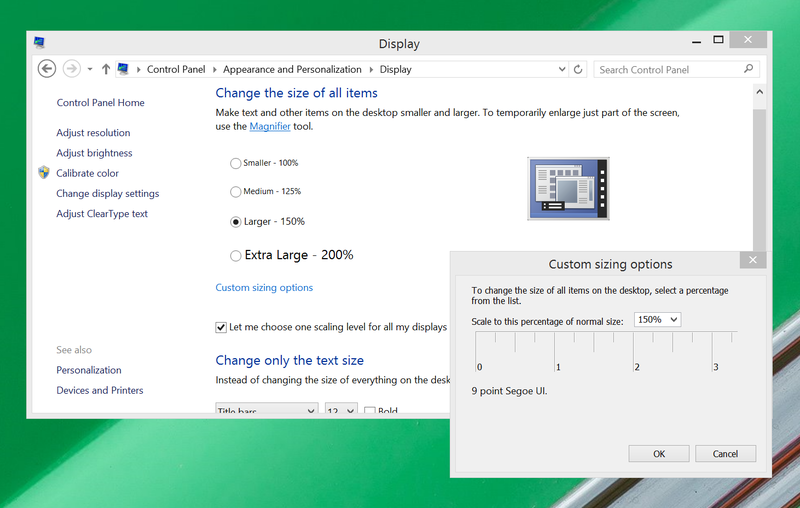 Here are five things you can do to make sure Windows is set up to take advantage of your high-density display. One of the main problems with a high-density display is that most software was designed back when high resolution automatically meant a huge display. If you take a program designed for a 24 inch monitor and shrink it down to 11 inches without changing anything, buttons and text and other UI elements are going to look absolutely tiny on the screen. The easiest way to fix this problem is with Windows’ system-wide scaling feature. This feature simply enlarges all programs and system UI elements. To configure it, just open the Control Panel, then click on Display > Custom Sizing Options. 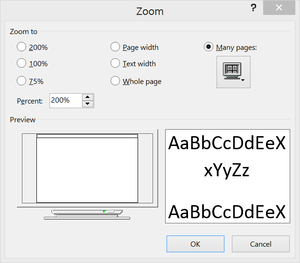 You’ll see a simple options window with a zoom percentage selector and a ruler. You can select a percentage manually, or click and drag on the ruler to decide how much to zoom in. The idea of the ruler is that you can hold an actual physical ruler up to your display, then adjust the virtual ruler until they match, and that will give you an appropriate amount of zoom—though of course you’re free to use more or less as your own preferences and eyesight dictate. If you’re happy with general UI size, but want just text to be a little bigger system-wide, you can make that change at the bottom of the main Display options window. 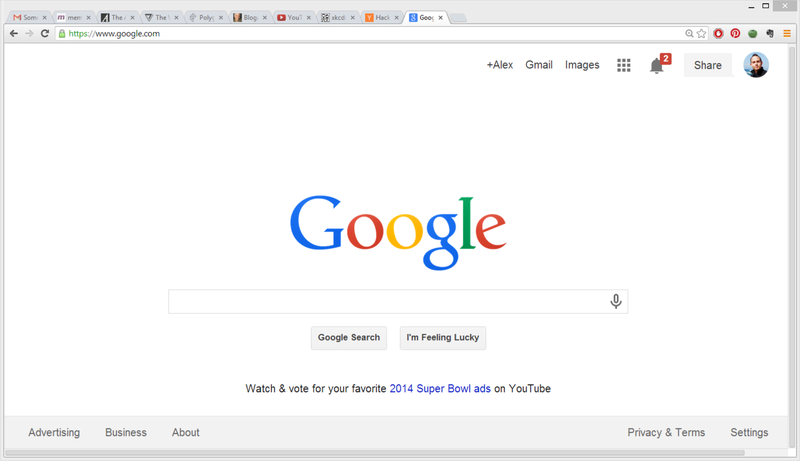 Chrome becomes a blurry mess when it's subjected to Windows' custom scaling, alas. Unfortunately, the global scaling feature does not work well for every program. You might find that it makes some programs look ugly and blurry, or that it makes them too large. Worse, some applications are bugged when magnified by Windows. 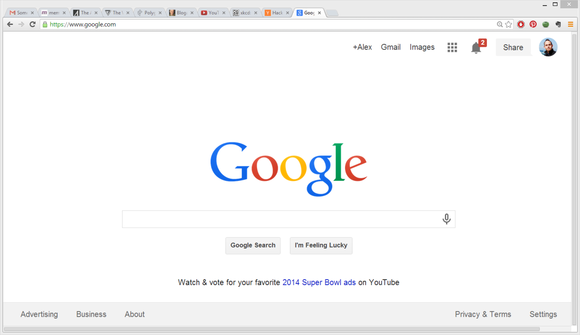 Google Chrome, for instance suffers from blurry text and a malfunctioning tabs bar when using the system-wide scaling. 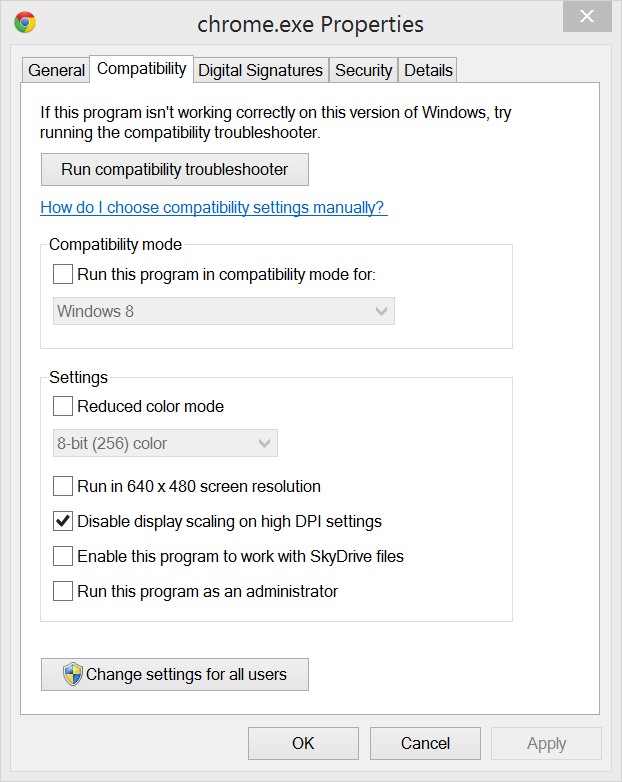 You can disable high DPI scaling in a program's property options, as shown here for Chrome. Fear not! You don’t have to disable the very-useful scaling as a whole just for those few programs. Instead, you can make them an exception, so that the scaling is selectively not applied to them. A simple way to make your computer more high-density-friendly is to change how your icons and folders display, so that they use the high-resolution large or extra-large icons. To do this, just right-click on the desktop or any folder in Explorer, and mouse over View, then choose Large or Extra Large icons. If you’d like to keep using the list view in Explorer, but want to take advantage of the extra space your high-density display affords you, you can enable the preview pane by hitting Alt + P. This pane is great for getting more details about individual files. 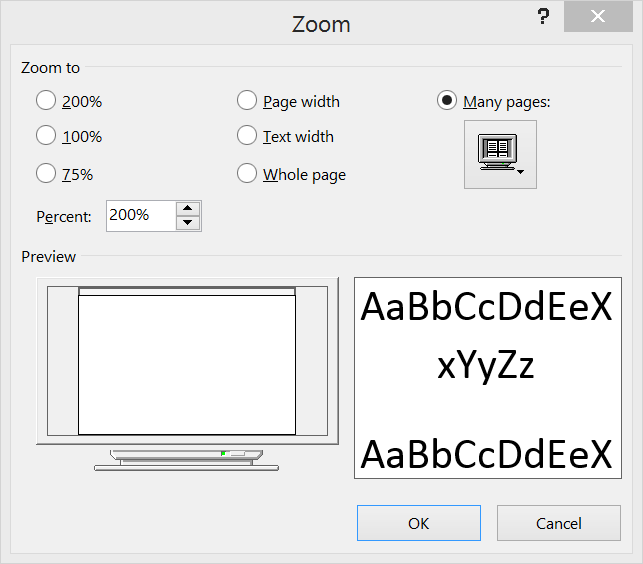 The Zoom options in Microsoft Word. You should also know that many programs have a manual zoom feature that may be better implemented than the system-wide scaling. The near-universal keyboard shortcut for zoom is to hold down the Control key and turn the scroll wheel. You’ll find that this shortcut works in all web browsers, and most programs that involve editing any type of document. Finally, you should upgrade to Windows 8.1 if you haven’t already. 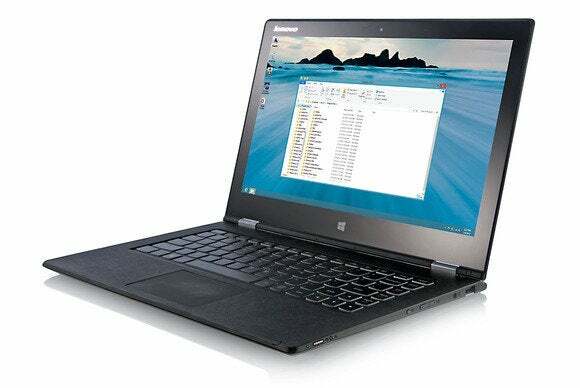 The free upgrade to Windows 8 includes a number of new features designed to benefit high-density displays. 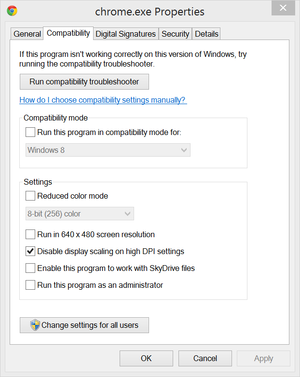 New features include the ability to increase UI scaling all the way up to 200% and automatic scaling adjustment for multiple monitors, so you can pair a regular-density external monitor with your high-DPI laptop, and both will receive the appropriate amount of scaling.